SEOUL - Officials signed a short-term agreement on Sunday to boost South Korea’s contribution toward the upkeep of U.S. troops on the peninsula, after a previous deal lapsed amid U.S. President Donald Trump’s call for the South to pay more. The new deal must still be approved by South Korea’s National Assembly, but it would boost its contribution to 1.03 trillion won ($890 million) from 960 billion won in 2018. 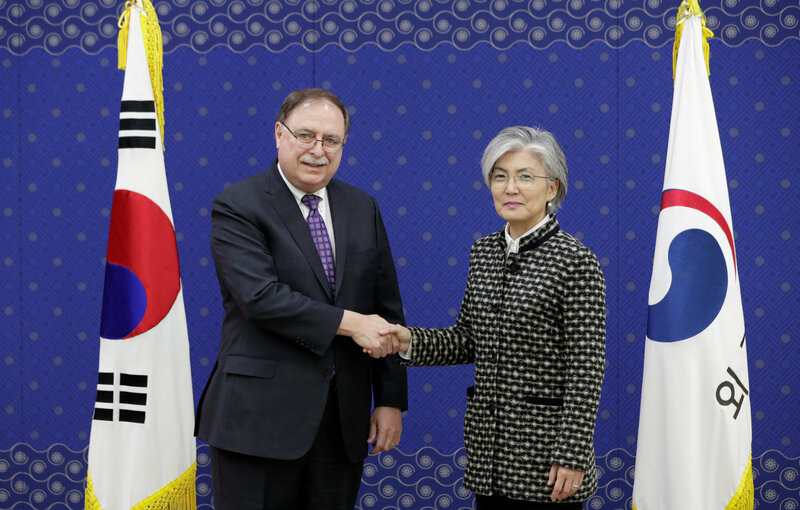 “It has been a very long process, but ultimately a very successful process,” South Korean Foreign Minister Kyung-wha told reporters before another official from the Foreign Ministry initialled the agreement. 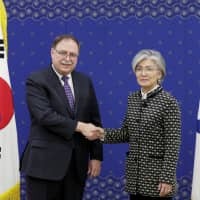 But both sides worked to hammer out a deal to minimize the impact of the lapse on South Korean workers on U.S. military bases, and focus on nuclear talks ahead of a second U.S.-North Korea summit, Seoul officials said.